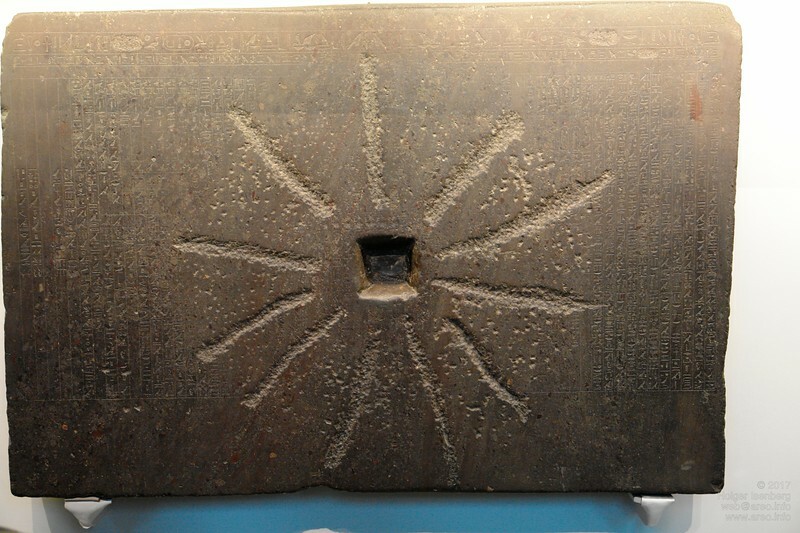 The inscription on this basalt block tells the story of the origin of the universe. Then it was remodeled for a millstone. British Museum.